I am also a founding member and board member of the Health and Trade Network that envisions a world where trade agreements are designed to support health and protection measures. In addition to that, I am a board member of the Human Rights and Tobacco Control Network since November 2017. Graen, Laura 2017: Tobacco | Decent work: How tobacco control contributes to achieving Sustainable Development Goal 8. SDG-Factsheet No. 4. Unfairtobacco. Graen, Laura 2017: Tobacco | Education: How tobacco control contributes to achieving Sustainable Development Goal 4. SDG-Factsheet No. 3. Unfairtobacco. Graen, Laura 2016: Ungenutzte Ressourcen: Tabaksteuern und nachhaltige Entwicklung. Unfairtobacco. Graen, Laura 2016: Tobacco and global Partnership: How tobacco control and development goal 17 fit together. SDG-Factsheet No. 2. Unfairtobacco. Graen, Laura 2016: Tobacco | Poverty | Hunger: How Tobacco Control can contribute to achieving Development Goals 1 and 2. SDG-Factsheet No. 1. Unfairtobacco. Koivusalo, Meri; Graen, Laura 2016: New ISDS proposal changes to the TTIP are not sufficient to protect public health. Factsheet. Health and Trade Network. Graen, Laura 2015: Tobacco industry confronted with child labour. In: TC News and Views Online. BMJ Tobacco Control Blog. Otanez, Marty; Graen, Laura 2014: ‘Gentlemen, Why not Suppress the Prices?’ Global Leaf Demand and Rural Livelihoods in Malawi. In: Leppan, Wardie; Lecours, Natacha; Buckles, Daniel (editors): Tobacco Control and Tobacco Farming. Separating Myth from Reality. IDRC and Anthem Press. Graen, Laura 2012: Opening Malawi’s Tobacco Black Box. Master’s thesis. Department of Anthropology and Philosophy, Martin Luther University Halle-Wittenberg, Germany. Graen, Laura; Otañez, Marty 2010: Malawi: Tobacco Versus Development. In: Bulletin of the Framework Convention Alliance. Issue 110. Graen, Laura 2010: Zeit zu Handeln: Factsheet über institutionelle und individuelle Handlungsoptionen. Unfairtobacco. Graen, Laura; Otañez, Marty 2009: Factsheet on Child Labour in Malawi’s Tobacco Sector. Graen, Laura 2009: Kodi mtengo wa fodya ndi chiyani? Was ist der Preis des Tabaks? 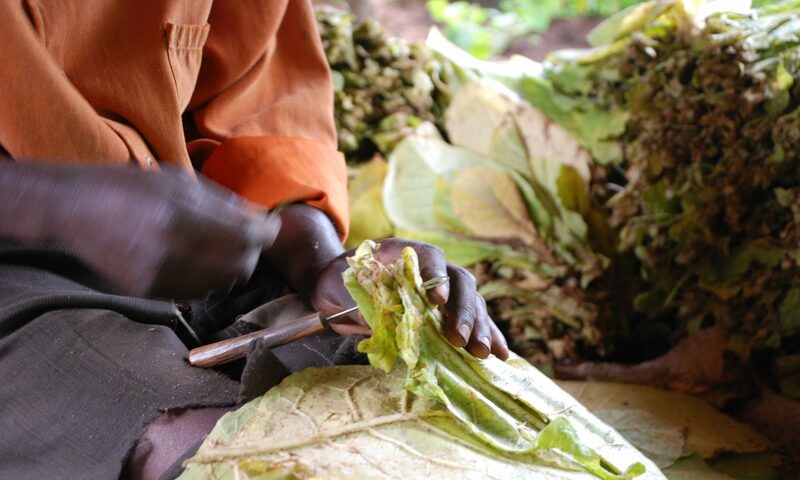 Audio feature on tobacco workers’ rights violations in Malawi. Unfairtobacco. Published on CD.